A pet is a member of the family. It’s just not a person. That legal distinction can often confuse people who have had loyal pets and want to ensure their care and safety should the owner pass away. It is not easy to think of our beloved house pet as “property,” as we think of it as a loving living thing which deserves similar care and comfort as the human members of the family. Whether we are talking about dogs, cats, birds, fish or iguanas, if we have a pet (or multiple pets) in our house as we are thinking about our estate plan, it is a good idea to think about your pet in the same way as other members of your family. You want to take care of your human family members and pass on your legacy to them in your estate, and you should also be open to passing on your care and support to your pet should your pet live on this earth longer than you. While it may seem simple to leave bequests and care instruction in a will for your pet(s), leaving only a will for pets can put the safety and health of the pet in jeopardy. Why? While the pet is considered “personal property,” it is a living thing – and a will has to go through the probate process before any provision in it can be acted upon. And with pets needing care daily, a pet usually cannot wait weeks or months to be cared for according to the owner’s wishes in the will. This is where a pet trust comes in. A pet trust is an estate planning tool that allows for immediate execution of the instructions in the trust for the safety and health of your beloved pet. It is a legal document that bypasses probate so the provisions inside the trust could be executed immediately upon the death of the person who designates the trust. What does a Pet Trust Entail? A trust allows you to put in various assets (money, pet food, housing, transportation if necessary) and designate an administrator or manager of the trust (a family member or friend that you trust with your pet) to execute the instructions made for the pet in the trust. The trust is set up to allow for the pet’s care and attention to be accounted for, so it should include everything the pet’s new caretaker should need- including food, shelter, veterinary records, favorite toys and the like. 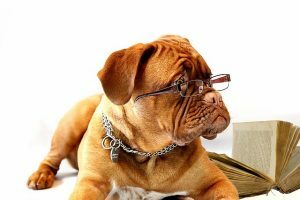 What Kinds of Pet Trusts are Available? The term “pet trust” is actually more a general topic and not a specific trust for pets. A trust, in its basic legal structure, requires a beneficiary who can execute the trust, which a pet, of course, cannot. Therefore, a pet trust in most narrow definition does not exist. However, a pet trust can be structured in such a way as to be for the benefit of a pet while being executed by a person. Statutory Trust: This applies by state, as some states have laws that allow for a pet trust to be enforced. There are a couple of tricks to this, though: The funds placed into the trust should be considered “reasonable” by the court, and determining the person in charge of enforcing the trust must be someone who has experience in this area, not necessarily the person designated as the trustee – or in this case, the caretaker of the pet. Honorary Trust: This is a trust that can be problematic without an actual law so codifying it as a pet trust. The idea, however, is that it is a trust set up with no specific beneficiary – perhaps your current pet will pass before you, and you expect to have another one in the future – but as a very specific purpose (caring for a pet). Traditional Trust: This is the most common type of trust that does not require significant legal hurdles or a pet-friendly state. A traditional trust for your pet is set up with your pet and assets for its care tossed into the trust, with a beneficiary serving as the caretaker of the pet. A trustee is appointed to manage the trust – ensuring that the assets of the trust are used properly – and providing oversight of the caretaker according to instructions in the trust. Caring for an animal is a loving thing to do, and it can be a not-so-easy legal process to ensure care and support for your non-human family member when it can’t speak or take care of itself. Of course, you love and value your pet just as you would your children, parents or any other family member. Just as you look to take care of your human family with easy transfer or assets to heirs and beneficiaries, you can do the same for your pet by establishing a pet trust that will clear probate and ensure that your family pet is in good hands with a trusted caretaker and that you provide what is necessary for that proper care. A pet is a family, and it deserves equal love and attention just as it gave to you. Take care of your pet by contacting one of our experienced estate-planning attorneys who can walk you through the process of setting up a pet trust so your pet will continue to be loved by you even after you’re departed.